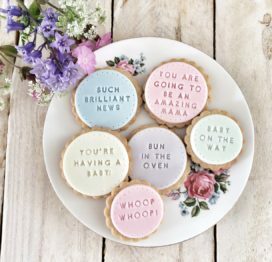 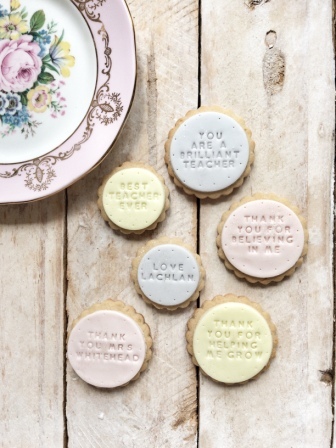 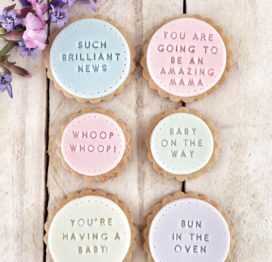 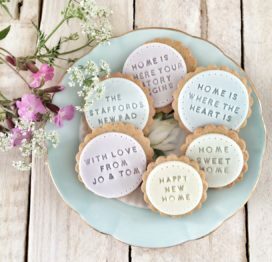 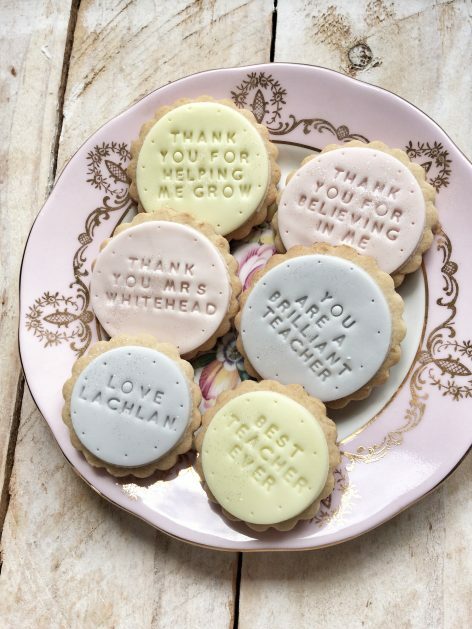 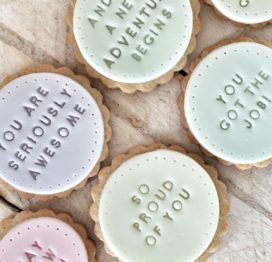 Say a great big thank you to your favourite teacher with this set of six personalised biscuits. 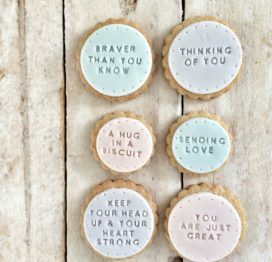 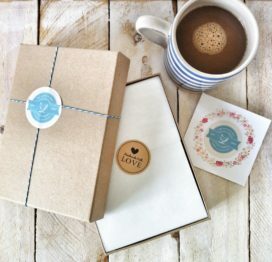 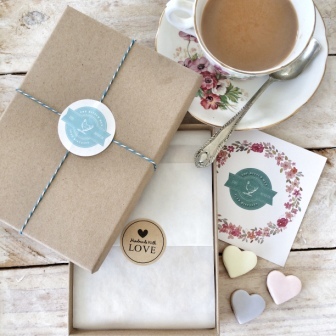 Two of the six biscuits can be personalised with the child’s name and teachers name to make them extra special – Don’t forget to add these details in the box opposite, together with your message for a hand written gift note. 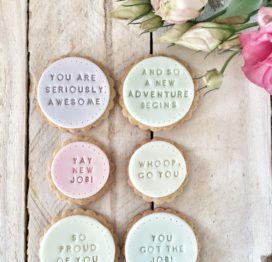 All of our biscuits are baked and stamped by hand, so icing colours may vary slightly from shown. 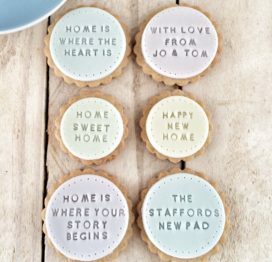 Contains six of our delicious vanilla iced biscuits.